Trump threw a campaign event in downtown San Antonio on Wednesday. A few hours later, Castro hosted a counter-rally. He shared with the audience what he planned to do once a defeated Trump hands the presidency to him. “We will be on the White House lawn," Castro said, "and the helicopter will be right there in the distance. And right before he leaves -- right before he walks away to the helicopter -- I’m going to tell him, 'Adios!' "
"We have so many candidates because so many Democrats ... have a shot of beating Donald Trump, and no candidate has emerged as entirely obvious," said E.J. Dionne, a Washington Post syndicated columnist and senior fellow at the Brookings Institution. Castro currently polls around 1 percent nationally and in the early states. Geoffrey Skelley, an elections analyst with the website FiveThirtyEight, said Castro has some key attributes that set him apart as a candidate. "On paper, Julian Castro makes an interesting case," he said. Castro is a young Latino with experience in the Obama administration. That could appeal to millennials, party loyalists and voters of color. He added that Castro needs to find that breakout moment. 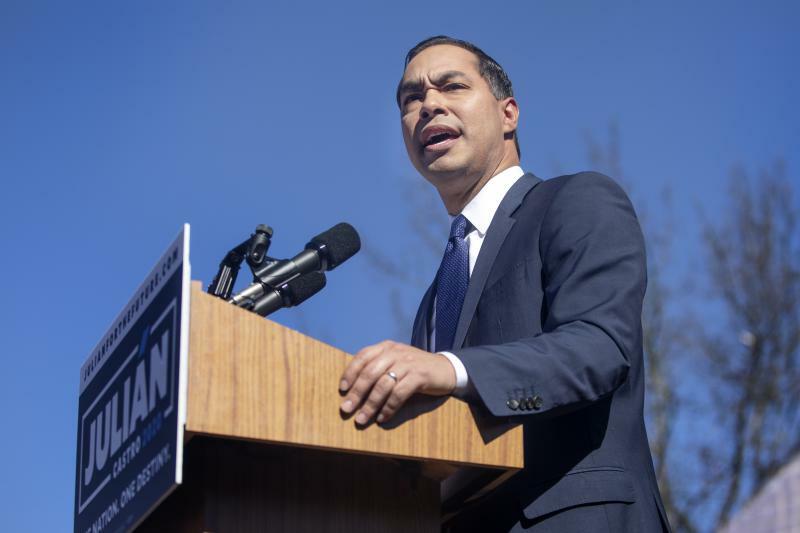 Skelley said Castro, who is so far the only Democratic candidate to unveil details of an immigration policy, may be the perfect response to Trump’s border emergency issue. "Each new president is a reaction to the previous one," he explained. "And so Donald Trump was unquestionably a reaction to Barack Obama. And for Castro ... what would be a more obvious reaction to Donald Trump than Democrats nominating a Latino candidate?" Castro was the keynote speaker at the Democratic National Convention in 2012, where he shared his personal narrative with the convention and viewing audiences. That narrative has only gained currency as Trump has pushed for hard measures on the border as Central American families seek asylum. "I have seen fully the promise of the American dream for immigrants and the difference that immigrants make in this country." he said at a recent rally. "I have a completely different vision for immigration in the 21st century than Donald Trump does." Castro's ability to speak with authority about this central issue may translate into free media. A recent example was Castro's appearance on the "Breakfast Club," a nationally syndicated morning radio show with a focus on hip-hop, pop culture and the black community. A host asked Castro, referring to his time in the Obama administration, "Is it disheartening to see your policies being dismantled?" According to Nielsen data, 77 percent of the show’s audience is African American or Hispanic. 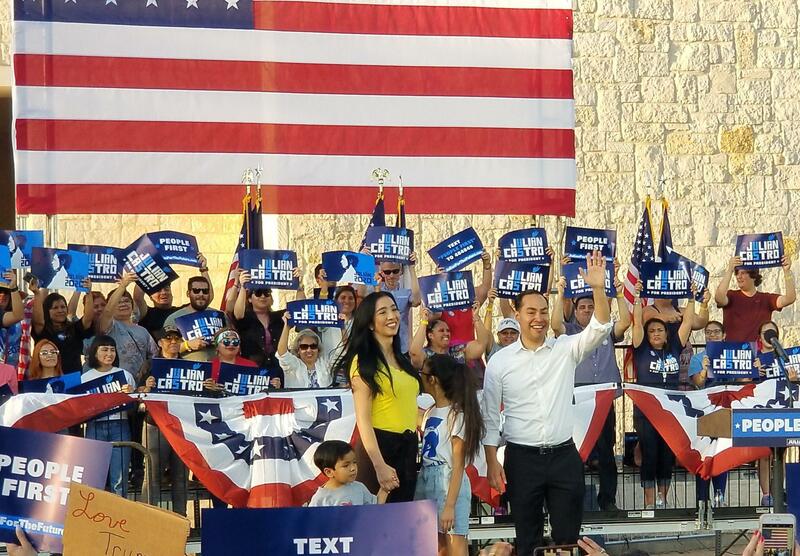 That demographic makes up nearly a third of the Democratic primary electorate and an voter base with which Castro must connect if he’s going to stand out from the Democratic crowd. The candidate himself admits there's still a long way to go. 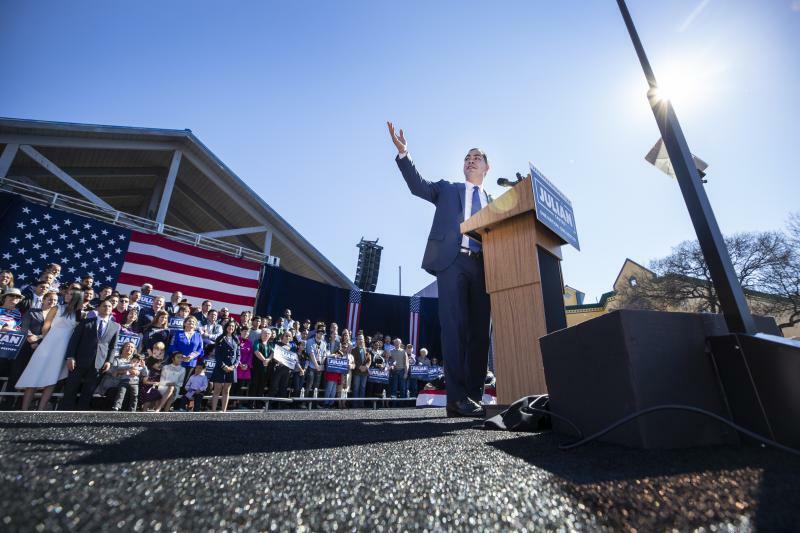 "We still have 44 weeks until the Iowa caucus," he said, "and I'm confident that by that time we'll be doing well." His next hurdle: Meeting the criteria to qualify for the first round of Democratic debates. Castro's campaign has to count at least 65,000 donors, and he's still several thousand short.